Whether you want to dance of have a song that allows you to lay back and stare at the stars, The Matinee December 8th is the ticket for you. 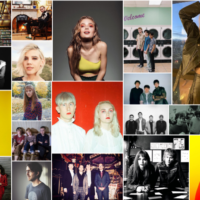 The mini-playlist once again features nine songs that will get you ready for the weekend. This is also the last The Matinee of 2017, and we’ll be back on January 8th. There’s still the Saturday Sampler coming tomorrow, so if you’re itching for new music check back in 24 hours. 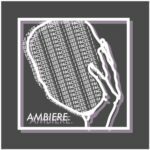 AMBIERE have just released a new track titled “I See Faces”. The Manchester trio recently released their debut EP, Tree of Life and have gotten really positive reviews so far (including from us). “I See Faces” takes us on an ethereal trip as Amber Lane-McIvor’s vocals float effortlessly against brooding synth and compelling guitar. 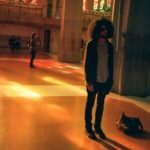 AMBIERE shares a bit more about the meaning behind the track: “The track was written about the feeling of waking up from a nightmare, and the intense panicky feeling you get as you try to separate reality from what’s been going on in your head”. AMBIERE have the ability to take us to another plane of existence with each new track. On “I See Faces”, the vocals and lyrics are haunting yet the beat reels the listener into a trance that forces the urge to move. Ambiere are Jake Blythe, Amber Lane-McIvor, and Oliver Lamb. Plenty of famous artists have holed themselves in a house or even hotel room in order to write their grandest pieces. Hemingway, Picasso, and Stephen King are all known for disappearing from the rest of the world for extended periods of time, so they could focus on their art. Hannes Ferm, the man behind HOLY, similarly went “off the grid” for over two years to write new material for his forthcoming sophomore album. We’ve already heard a couple of songs – “Heard Her” and the double single “Premonition / ◯ / It Shines Through”. Each was a cinematic whirlwind, akin to witnessing a Salvador Dali painting come to life. If those tracks were wonderfully bizarre, get ready for “all these worlds are yours”. 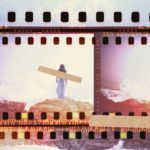 This nearly 9-minute epic is truly a short film put to sound, and it would be perfectly placed in The Beatles’ psychedelic film, Magical Mystery Tour. “all these worlds are yours” commences chaotically but then it eases into a beautiful and wistful psychedelic melody. Imagine being Dorothy and spiraling through the tornado only to suddenly find yourself gliding effortlessly in the sky. For the next six minutes, Ferm takes on this gorgeous and relaxing ride; however, the song once again undergoes a transformation. On the final 90 seconds, we are shot right back into the spinning vortex, as wave after wave of distortion and gnarly guitar riffs pound around us. This is one wild ride between multiple dimensions, but it’s magnificent. The journey continues on January 26th, 2018, when HOLY’s new album, All These Worlds Are Yours, is released on PNKSLM Recordings. Thank goodness for Jinka! 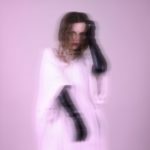 In a time where many new artists mimic BANKS, Broods, and Tove Lo, the Berlin-based singer-songwriter and producer is spicing up the electro-pop scene. She’s not technically adding fire nor turning the genre into ’80s synth-pop / dance-pop anthems. On the contrary, she’s making electro-pop ultra-chic, much in the same way that Sade added sophistication and complexity to R&B. This is a bold statement, but Jinka’s new single, “Shock Mounted”, will convince you of her ingenuity. At first listen, “Shock Mounted” may seem more like an alt-pop tune, but listen closely and you’ll hear streams of Talking Heads’ new wave filtering across the song. The quirky and oft-kilter approach also adds both a carnival-like atmosphere and an unexpected element of suspense. This otherworldly vibe of the song reflects Jinka’s lyrics about living in a world that is consumed with technology, where people are living vicariously through other people’s social media posts and having virtual relationships. The video further adds to the song’s impact about this new reality in which we live. The single is out now via AWAL Recordings. 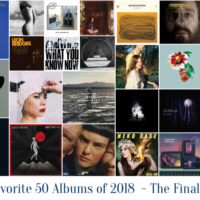 We’re anticipating some sort of compilation (EP or LP) in 2018. Michael Jablonka may not have the name recognition of his good friend Michael Kiwanuka, for whom he plays lead guitar in his backing band. Jablonka, though, sure does have a better coif. He is also arguably the more gifted guitar player, as his blues-rock background has him gaining traction as one of the best young guitarists in the business. Like Gary Clark, Jr. before him, the London-based musician is branching out and aiming to make a statement as a multi-faceted artist and singer-songwriter. In September, he released “Peacefully”, which had us thinking of a young Lenny Kravitz (a talented and underrated guitarist himself) and even Jimi Hendrix. For his newest single, “I Found You”, he heads more into a modern blues- and southern-rock approach and channels the aforementioned Gary Clark, Jr. Jablonka’s guitar work, though, takes a back seat to the unexpected – his terrific voice, which has a lot more range than he has previously demonstrated. There is still a great guitar solo in the song, but as he repeats, “I saw you at last”, you get sucked into his rich voice and the whole experience is like a spiritual one. 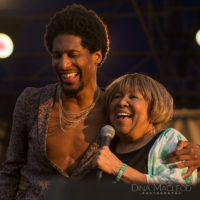 Speaking of which, some may interpret the song as a love story, but given the artwork and some of the lines “I Found You” could also be about Jablonka’s own spiritual awakening. Or his journey to find something to belief in, much like U2’s “I Still Haven’t Found What I’m Looking For”. In the meantime, Jablonka’s musical career continues on super boutique label Lost in the Manor Records. We really don’t know much about Michigan trio Outside Air because they are one of those accidental discoveries. No one sent us their music; we just came across it while perusing the various streaming sites. Anyone who knows us realizes that we love a great shoegaze number, particularly if they sound like the Cocteau Twins. Sure enough, Austin Costakis (bass), Blake Gibbs (guitar), and Riley Smith (vocals/drums) come awfully close to imitating the legends on their new single, “slacker”. From the sensational shoegaze guitar, the heart-pounding drums, the stark bass line, and the shallow and distant vocals, this song is right out of the late-’80s and early-’90s. 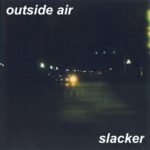 For those who attended high school in those days, dances would end with a delirious and breathtaking shoegaze number just like “slacker”. As you and your partner slowly strode to the music, both of your minds would enter a dream-like state, cherishing these final seconds together and imagining what would come next. It’s too bad radio stations don’t play more songs like this because the kids these days don’t know what they’re missing. Maybe Outside Air could change all this. If you like the tune, pick it up on Bandcamp. 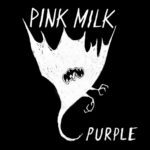 We’ve been chatting up the greatness of Pink Milk for a good 18 months. 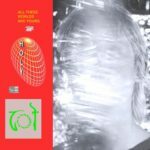 The Swedish duo’s blend of shoegaze and post-punk is the equivalent of a My Bloody Valentine-and-The Cure cocktail. Finally, they’re starting to get recognized for the work, as this week Maria and Edward were nominated for a Swedish P3 Gold Award, under the category Best Rock/Metal Group. 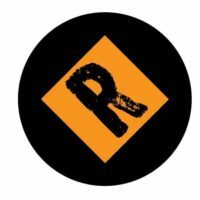 For those unfamiliar with the Swedish music scene, P3 is the national radio station, and their awards are akin to what Triple J in Australia hands out. In other words, this is a big deal for Swedish artists and bands. To acknowledge their accomplishment and to showcase how great this band is, take a listen to “Muscles”, which is from their debut album, Purple (out on Black Hair Records). This song is a little different from Pink Milk’s other songs, as it’s slower, denser, and more methodical. It demonstrates, however, the duo’s versatility, where they can startle our minds with heavy, dense Gothic shoegaze or, in the case of “Muscles”, become snake charmers and take control of our every thoughts. The fuzz-filled, crystalline guitar is stunning, but it is Maria’s vocals that are spine-tingling and enchanting. We do, though, have one issue with the song – it’s way too short. If it was 90 seconds longer, our souls would have been devastated. With that in mind, maybe it was wise to keep the track at just 2.5 minutes. FRND is back with an awesome collaboration with Said The Sky. For a bit we weren’t sure who FRND was as each track was anonymously released with the persona of an adorable koala. Since that time we know FRND is LA based songwriter and producer Andrew Goldstein. It makes total sense for Said The Sky to work with rising star FRND since previous collaborations have included MISSIO, Origami and Kwesi. Said The Sky is Trevor Christensen, a classically trained Berklee alumnus who’s taken the electronic scene by storm. The collab with Said The Sky and FRND is already a hit with more than 70k spins in just a few days. The track combines the bass heavy talent of Said The Sky along with FRND’s ability to create an instant pop hit whose lyrics are ones you can swear you’ve experienced. “Faded” is a completely dance heavy and upbeat feeling track even though the lyrics are about trying to get over a previous relationship that drifted apart as the lyrics proclaim “Who we were isn’t who we are”. 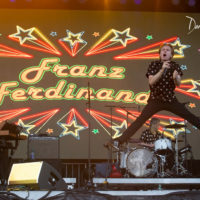 It’s hard to believe that The Wombats have been around for fourteen years, having formed in 2003 in Liverpool. Matthew Murphy (vocals/guitar), Dan Haggis (drummer), and Tord Øverland-Knudsen (bass), however, now live in different parts of the globe, where the three are separated by nine time zones (Tord in Oslo, Dan in London, and Matthew in Los Angeles). Despite the distance, the bond between them is unbreakable, and it shows in their music, as evidenced by their latest single, “Turn”. While some bands resort to cheap parlor tricks as they age, The Wombats aren’t sacrificing their artistry for quick wins. Instead, they’re still finding ways to sound refreshingly new and exciting. 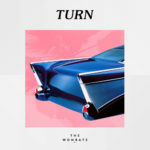 With “Turn”, they create an alt-pop number that is delicious ear candy, but the impact is more emotional and exhilarating than danceable and anthemic. Murphy’s lyrics, in particular, hits close to home, as he recounts different people’s turning points. The mistakes, the missed opportunities, the good fortune, and the people who have affected our lives are all recounted on this moving number. The Wombats might be older, but they’re still pushing the envelopes of indie-pop music. The Wombats’ fourth album, Beautiful People Will Ruin Your Life, comes out February 9th via Kobalt Music Recordings. Pre-orders are available here. They commence a North American tour in early January, and details are available here. European dates are expected to be announced in the coming weeks. 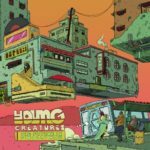 Young Creatures recently released their second album and it’s a great mix of psych pop and shoegaze. “The Future Is Finally Now” is the title track which is melodic and feels nostalgic yet soothing. The lyrics elude to the beginnings of a new relationship as they state “In your eyes, the future is finally now”. The track itself takes us on a ride that includes well crafted indie rock harmonies, 60s inspired psych bridges and memorable vocals that feel completely familiar. Young Creatures have been making music since 2012 and their sound continues to evolve. The band is succeeding as a complete DIY band having recorded the latest album at Mike Post’s own Moosecat Recording. “The Future Is Finally Now” is the title track from the band’s new album, which is out now on Nomad Eel Records. Young Creatures are Mikey Escalante (drums), Andrew Gleason (guitar/vocals), and Mike Post (vocals/guitar).